At Endless Oceans Gozo our team can teach more than 20 different Specialty Courses, one of the biggest selections available on the Maltese islands. 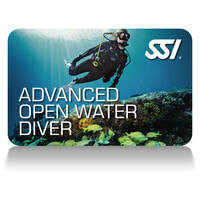 By completing four SSI Specialty programs and having logged 24 dives, you will receive the SSI Advanced Open Water Diver level. The advantage of booking the SSI Advanced Open Water Bundle with us is that your instructor will be able to create a flexible and enjoyable course plan to suit your goals. There is also a cost reduction compared to booking the Specialties separately. Price is based on the total of your four chosen specialties minus 15%.